If successful, Teepee would have to attend appropriate site co-ordination meetings, as well as producing working drawings, build schedules and supply requisite Method and Risk Assessments. During the fit-out, Teepee were required to liaise with other successful suppliers, such as mechanical and electrical (M&E), machine suppliers and flooring contractors. Having won the tender, Teepee’s project team carried out a detailed site survey and then produced relevant working drawings and a clear build schedule. 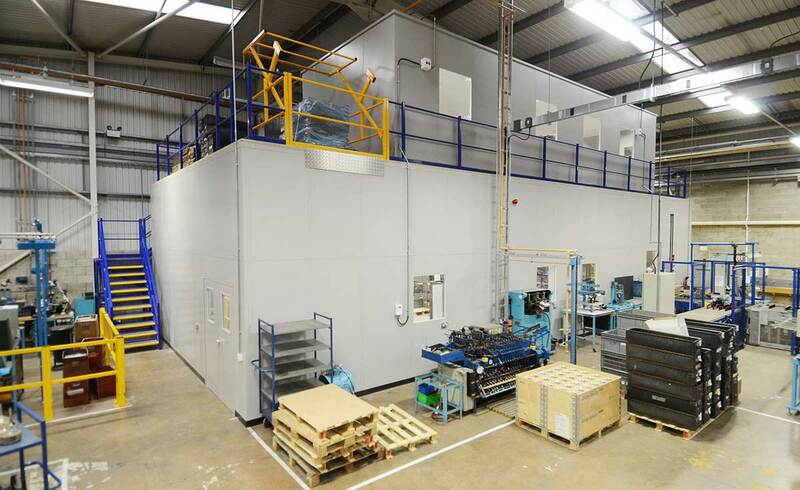 The new production facility comprised a 4,261 sq ft (396m2) mezzanine floor having a production office located on the upper level and a production facility below. Due to the overall size of the mezzanine floor, the underside of the structure required one-hour fire protection to comply with building regulations. Teepee then installed single skin steel partitions on both floor levels, which were shaped around the staircases to maximize space. In addition to the offices, a steel enclosure was installed around the stores to create a secure area. Within the solid partitions, Teepee installed a service hatch and one set of double action PVC doors, which enabled Scilabware to access the stores area picking and replenishing pallets from within the re-located pallet racking system. 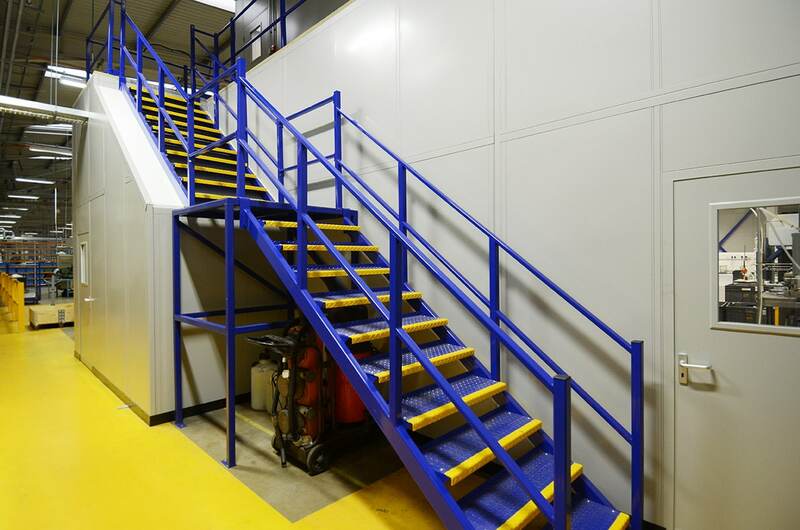 A mezzanine floor providing 4,261 sq ft of additional floor space. Steel partitioning chosen for cost and durability. 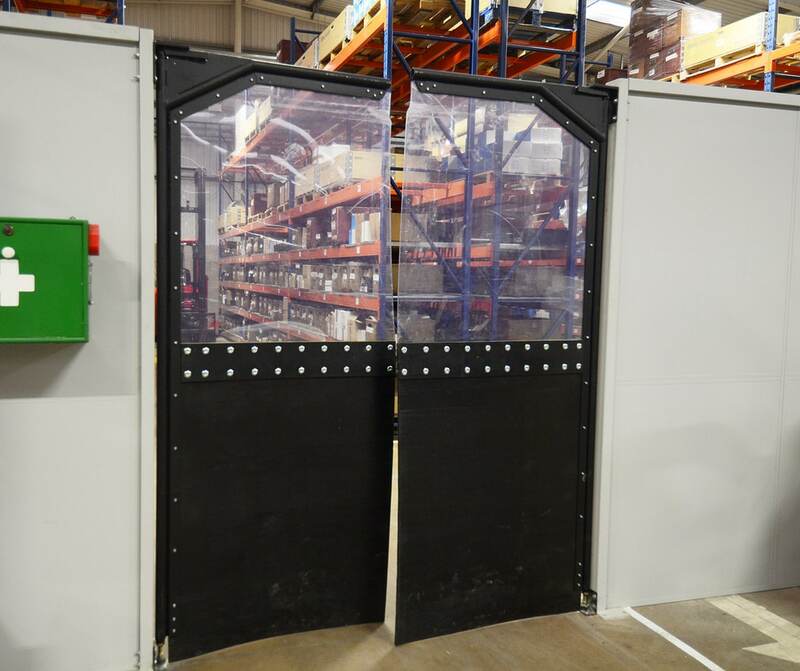 Double action doors fitted to stores to allow forklift access. 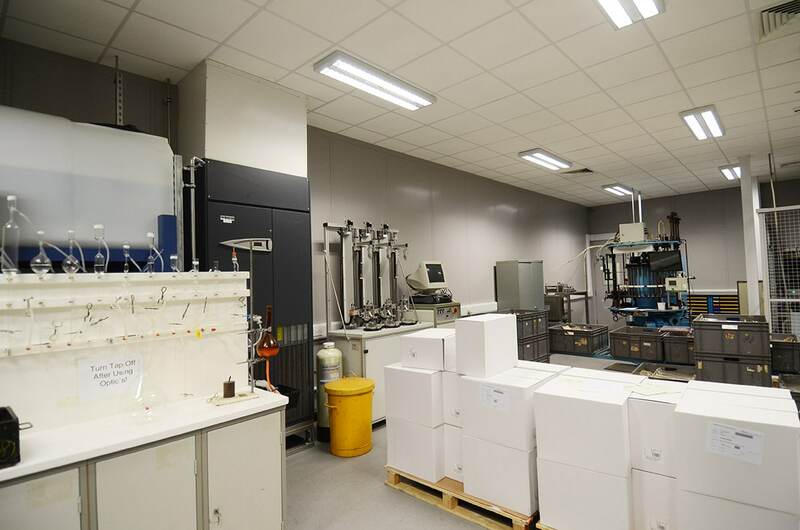 Business SciLabware Ltd is one of the world’s leading manufacturers of laboratory glassware and reusable plasticware, selling products through a worldwide network of distributors. 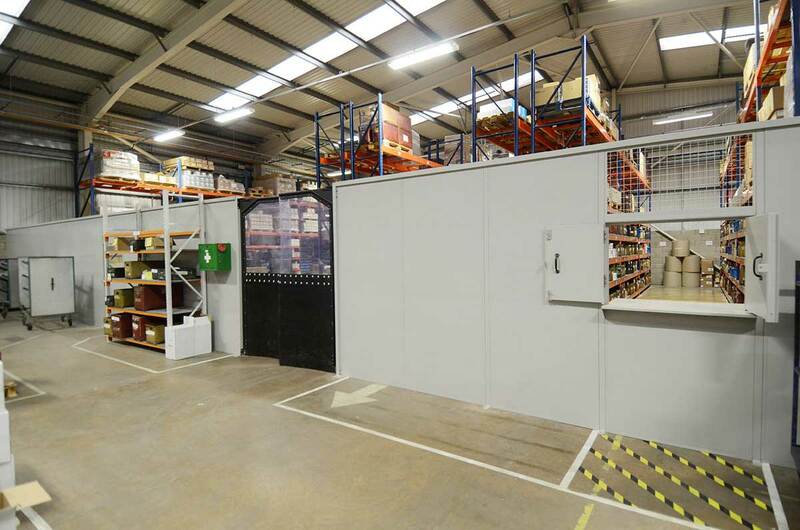 Our Brief Due to SciLabware relocating to a new state-of-the-art factory in Stoke-on-Trent, Teepee were invited to tender for a new two- storey production facility incorporating a mezzanine floor, and a separate secure stores area. All designs and specifications were produced by SciLabware’s appointed consultants. Timescale 5- weeks with Teepee working in conjunction with clients appointed project management company.